Opened in 1988 Safari World spans over a total area of 1,200 rai (approx.480 acres) for its open zoo and 450 rai (approx.180 acres) for its bird park. The park is separated into two zones, the Safari Park and Marine Park. Safari park is the ultimate safari experience featuring hundreds of animals from all over the world. Highlights include the Wildlife Feeding Show. 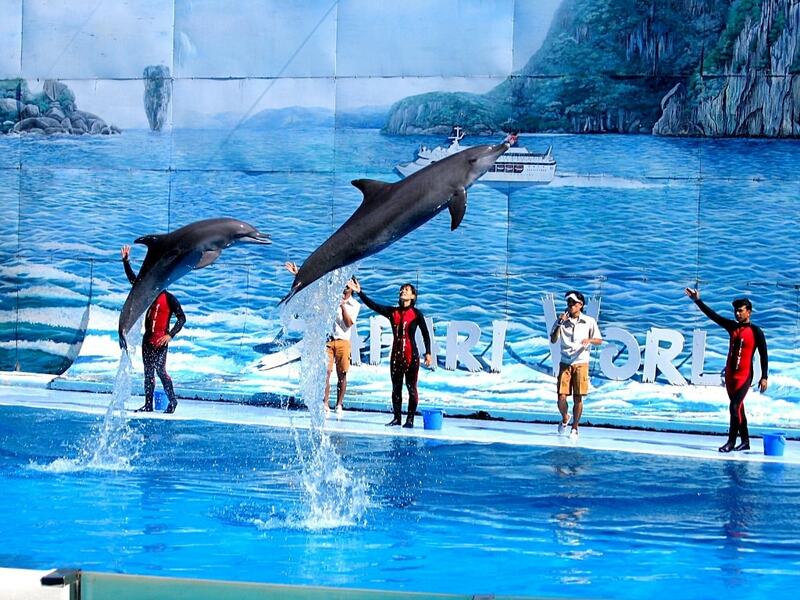 The Marine Park has 7 exciting shows daily (spy war action stunt, spectacular, water ski, dolphin, Hollywood and more! The Information Centre provides details of the park, its attractions and show schedules as well as storage and paging service in many languages.